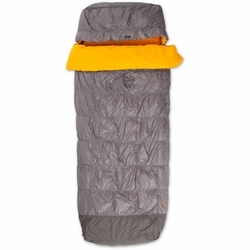 NEMO Tango Solo 30 Sleeping Bag. Tango™ Solo works with any 20 or 25 inch pad, but is simply magical with our Cosmo™ Air Lite or Astro™ Air Lite pads combined with the appropriate Slipcover. Its backless design keeps it under the weight of a typical two person bag, making it the best way to snuggle a long way from the trailhead.